Aria CRM or Customer Relationship Management software for business is designed to achieve the goals of business customer relations. 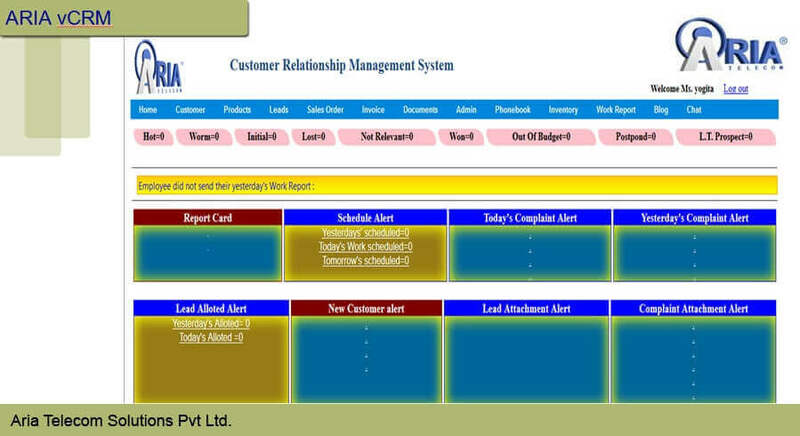 CRM software or Customer Relationship Management Software is one of the important part of call Centres. Thus it need to be very efficient in terms of operations and sales management graph. 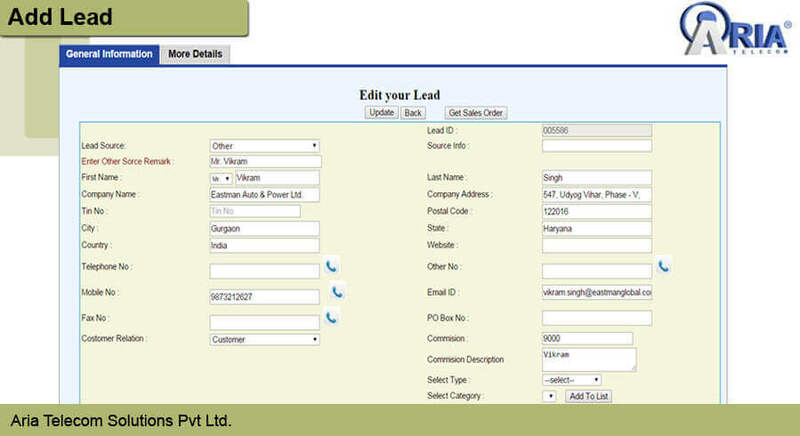 Aria CRM system offers auto handling of leads and processing them on the basis of collected information. Manually handling leads is a tedious work and synchronizing the same with CRM is even a nightmare. So, always go for an automated CRM system that process leads on the basis of collected information. It also comply with the important feature of storing Customer information as accuracy and efficiency plays a great role in it. Also it need to be secure with storing information as leaking of lead information can create glitches in business process. Aria CRM is flexible to get integrate with existing software as well as social and telephony systems. It should be also very much effective to track sales as businesses are crucial about this part. The final word is a CRM should be able enough to improve the sales growth. It also should be able to generate reports on its own so that you know where your business process stands for.It has been seen that new businesses often overestimate their customer communication need and go for a high-end system. Having a high-configured system not only cost them too much investment but also require high level of installation and customization. Aria CRM is designed to address all business needs accurately to be the best CRM software. Also, if you are changing your CRM software, then be assure that data import is very easy through CRM platforms. 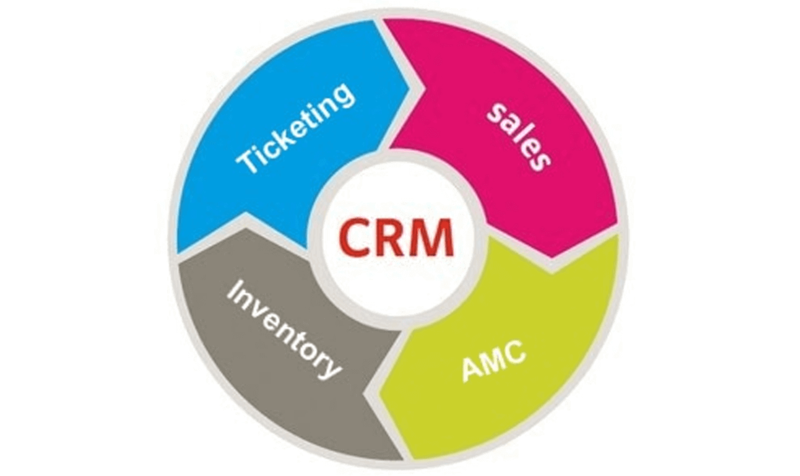 So, you will not lose any data or any previous information by refurnishing your CRM system.AriaCRM software that best meet your business needs, serves accordingly your customer expectation and is easy to handle. To maintain the student’s information like fees structure, personal details, contact details etc. Teachers Information like joining date, leaving date, salary structure etc. Others Staff information like Admin, Drivers, Housekeeping staff etc. Complain will be lodged by customer either on telephonically or via email. Ticket No will be generated and provided to customers for next communication with resolution time. Complain will be assigned, to engineers, if issue resolved, case will be closed otherwise escalated to next level. Lead Status (Initial, Warm, Hot, Won)-These status will change as deal process will run. After confirming the order, Sales order will generate. On daily basis, executive will check the warranty of products sold by us to clients. Before finishing up the warranty, executive will make the Quote for client and send them. If any product comes in logistic, it can be new, for repairing, for replacement etc. 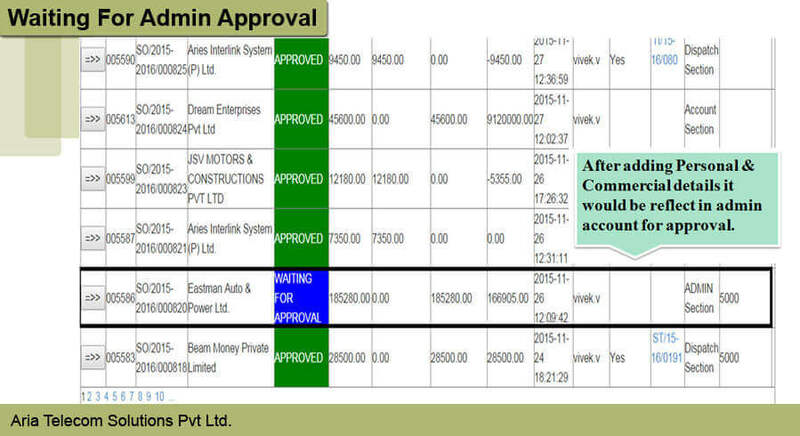 Status will be updated in system for every transaction of spares. Q1) What is difference between Aria CRM and Aria cloud CRM? Aria CRM: The system will be place in your premises and whatever technical requirement will be needed, provided by client side like Power, LAN, Cables, and Switch etc. Aria Cloud CRM: There are no technical requirements as such all you need to use the CRM is internet browser. Browser can be Mozilla Firefox, Chrome, and Internet Explorer etc. Cloud CRM means there is no need to download any software, no maintenance cost for back up. You can access it from anywhere. Q2) What is the contract period for CRM? Q3) Can I customize the CRM? Yes you can share your requirements or changes would like to add on it with us. We will check the possibilities and confirm you but additional charges will be applicable. Q4) How can I connect with Technical Support? You can email us on support@ariasolutions.net or can call us on 0120-4763963 for any technical queries 24*7. Q5)	What is the minimum user license for CRM? The minimum user license for CRM is five. Q6)	How can I login into Aria CRM? Login credentials will be provided to you or you got option to create the same. 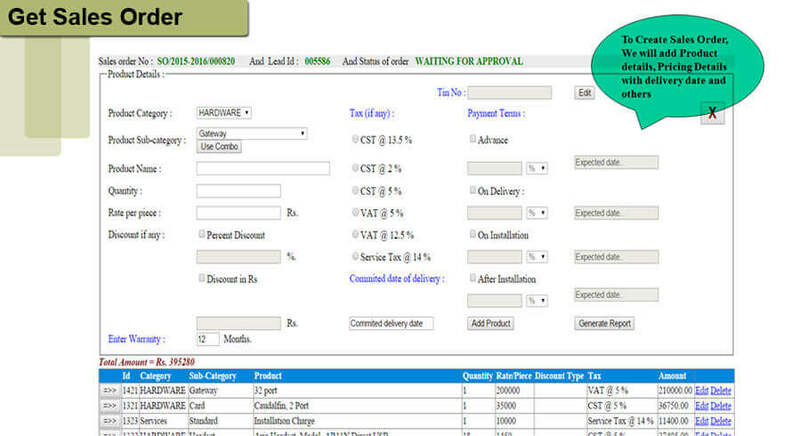 Below mentioned three parameters require to login into CRM application. Q7) If I have a sort of database, how can I import into CRM? Whether Your Data stored in excel, spreadsheets, database or other CRM, You need to share a table structure of database with us and we will arrange an import option on CRM panel. The file type of database should be.CSV file or. XLS. Q8) What Modules can be included in CRM? Modules can be Sales, Marketing &Service etc. however it is defined with others name in market like Order Management, Lead Management, Logistics/Inventory, Invoice Management etc. Q9) How Does CRM work with Emails? It generates the email when contract period of the product is going to be expiring. Q10) How can I review the reports within CRM? We have given the dashboard to review the reports on daily basis. Reports help you to find out the customer data, sales productivity & won/Lost opportunity ratio.